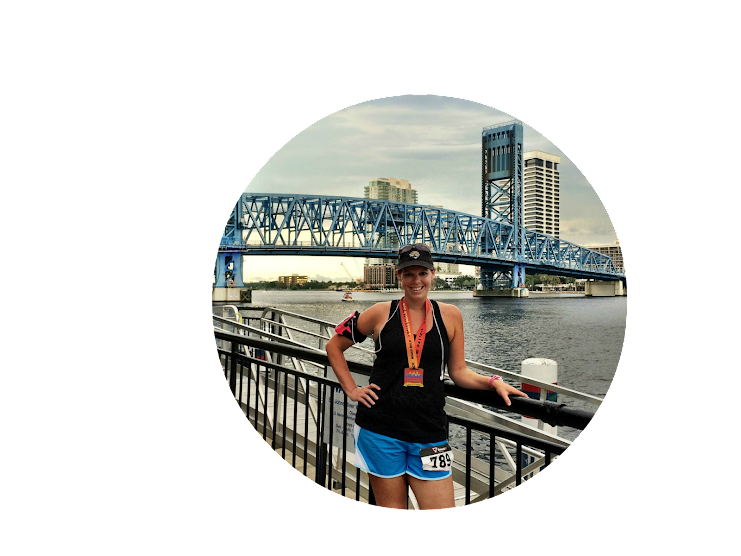 friday five 2.0: five reasons to LOVE ready.set.glow 5k! 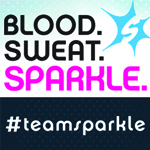 I am a partner with Ready.Set.Glow 5K. In exchange for my promotion of the event, I will receive complimentary entries for my family. All opinons are my own. The second annual Ready. Set. 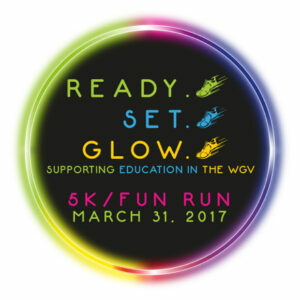 Glow 5K will take place on March 31, starting at 7:45 PM at the Ring Power complex in World Golf Village. This event is a group effort between three local schools, with all funds raised going to benefit those institutions. READY. SET. GLOW 5K raises money for some amazing schools! In its first year, the Ready. Set. Glow 5K raised $4000 each for Wards Creek Elementary, Mill Creek Elementary and Pacetti Bay Middle Schools. These neighborhoods love their schools, and this event is geared towards the students, teachers, staff and administration who make those schools so great. READY. SET. GLOW 5K brings families together for fit fun! 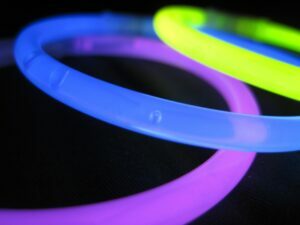 A nighttime run with music and all the glow in the dark fun you can handle? What’s not to love? I’m not typically a fan of nighttime running, but surround me with neon lights and I am totally on board. Oh. The kids love it, too! READY. SET. GLOW 5K supports the local community! With sponsors from the World Golf Village area, and a race directing team made up of members of three different PTAs and the ladies from Empower Coaching, this event boosts the businesses that help the area thrive. It’s a wonderful thing when communities can help each other out in such a positive way. READY. SET. GLOW 5K is the only nighttime, glow-in-the-dark, timed 5K in the area! Where else are you going to get this kind of experience in your own backyard? You have to admit – this is a sight to see. I can’t wait to be a part of it. READY. SET. GLOW 5K is fun for all ages and abilities! Ready. Set. Glow 5K is open to runners and walkers of every age. With a one mile fun run and a timed 5K race, there is something for everyone. Last year, race organizers hoped for 500 participants and were thrilled when 623 people crossed the finish line. In March, the race hopes to see 750 registrants donning glowsticks and hitting the course! Click here to register for the 2017 Ready.Set.Glow 5K on March 31! The price will increase on February 20, so get in before entry fees go up! All runners will receive a bib, t-shirt, and finisher’s medal. For additional information, visit the official Facebook page! For sponsor inquiries, please send an email! Have you ever run a glow run? 20 Responses to friday five 2.0: five reasons to LOVE ready.set.glow 5k! Awwww this looks super fun, especially for the kiddos! My daughters and I were supposed to do a glow run last summer but man oh man did we ever get rained/lightning’d out! It was so brutal they had to cancel the race. This looks like a race my boys would love! 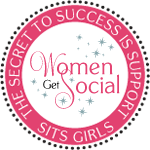 Hope you reach the 750 goal! Michelle @ Running with Attitude recently posted…Run Utah – A Giveaway! Me, too! That would be so amazing for the community! Looks so fun! Anything that gets kids interested in running is a-ok by me! True story! I am excited to see how he does this year, now that he is more involved with running club and did so great at Daytona last week! This looks like alot of fun, and its great that it involves the kids! Such a blast and I love that the kids get into it! This looks like so much fun! Kids, running, glowsticks. Yes! I’ve always wanted to do one of these glow or color runs and have never had the chance, So fun! Aw, I hope you do some day! They can be a lot of fun! 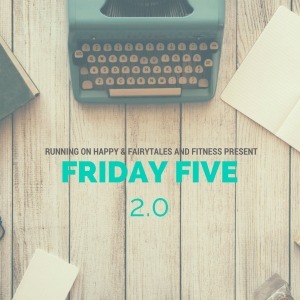 runswithpugs recently posted…friday five 2.0: five reasons to LOVE ready.set.glow 5k! This looks awesome. I would like this run much better than a color run because you still get to run with neon colors, but it’s way less messy! This looks like a great event! I volunteered at a local glow run (of sorts) last summer, and the kids really had a blast (and some of the adults, too). 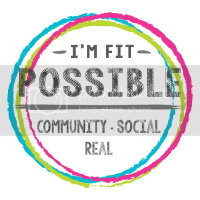 Kimberly Hatting recently posted…Cross-Training…what’s not to LOVE? The kids love it for sure! Late bedtimes, glowing, running at night! It’s got all the stuff! This looks like a great family event! Have fun! Mary Beth Jackson recently posted…Make any day a Valentine’s Day! I can’t wait! I missed it last year because I was in Savannah, so I am all in this time! Looks like a really fun race!! I have done night runs and they are so much fun.